Marketers today spend a lot of time researching and developing strategies that can really work. They are comprised of different comprehensive tactics that aim to help to raise the awareness about the company and developing the business. Clearly, with such complexity of tasks, there are many important variables and considerations that should be taken into account to provide a successful and consistent implementation. The current progress of technologies has provided us with a wide variety of tools that help marketers in their work and decision-making. Specifically, they are useful for designing comprehensive networks that enable to provide strategic planning, research of the audience, creation and distribution of marketing content to the appropriate audience, and do many other things. In this article, we have gathered the list of the best tools for marketers that can help to develop successful strategies and accomplish many other goals along the way. Moreover, they can really speed up the work and make it very efficient, which may be very attractive to some of us who like to dedicate some time to a little laziness. The tools are not ranked in any specific order or ranked but rather represent one of the best tools that can help to achieve great results with less time. 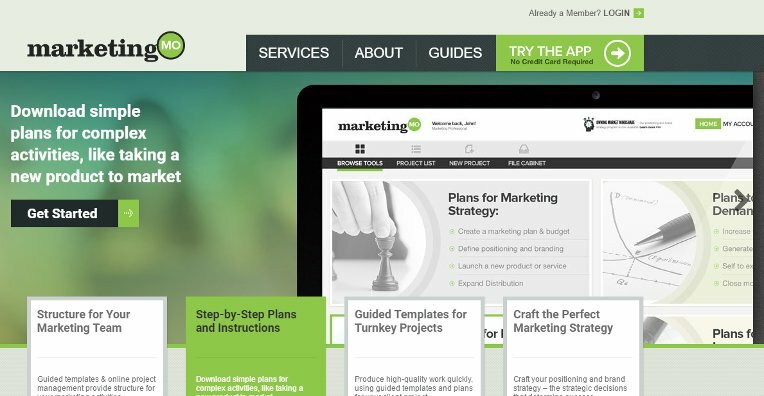 The first tool is a great one for creating a comprehensive marketing plan. The website of this software app invites the visitors to go through the different stages of the creation process and provides them with advice for every important aspect. 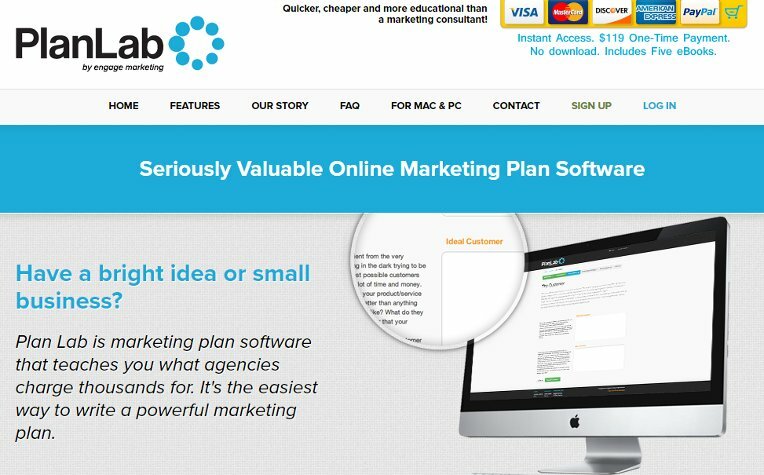 It is very easy to use and gives the user real-life examples of marketing plans that worked by industry, company, or budget. After finishing the process of creating the marketing plan, the results are available for downloading in doc and pdf extensions for convenient use. Although the app costs about $120, it is certainly worth the investment because it provides a real-time instructor and advisor on even the most difficult decisions. This is another marketing planning and management application, known for its intelligent approach and usefulness. Its main purpose is designing strategic marketing planning, and the app provides a great deal of help along the way. To achieve the purpose, it proposes to develop the positioning and brand strategy and gives sufficient amount of information to make a smart choice. Next, it can help to create a great strategy by providing interactive marketing plan templates of various types to meet the needs of the user. The use of pre-designed templates and other tools will be very useful, as well as outsourcing marketing support that serves as the help to companies in need. There are several purchase plans available, starting from $299/year but can be enhanced to take advantage of all features and services. “It’s not great content if it’s not getting found” is the motto of the Conductor development team. From the very first page, it becomes clear that this tool is focused on delivering great conversion rates and customer value by collecting intelligence that can give a competitive advantage. The Conductor platform puts a special emphasis on the SEO and its contribution to the marketing and social media opportunities to reach the goals. It is very easy to use and provides a great customization. For $1,995/month (that includes 1,000 searches, starter account) the platform is ready to propel the business. The field of marketing is ever-changing and requires real insights into the performance to make sure that that marketing tactics can be modified to meet the budget. 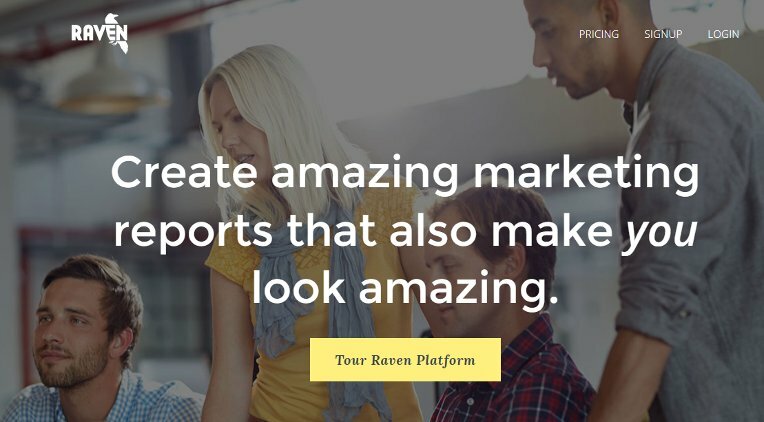 This very function is performed by Raven, an online platform that allows managing and reporting on all online marketing initiatives. Organization of outreach efforts, SEO content analysis, AdWords campaign and many more others are among the functions provided by Raven. The Pro version of the platform costs just $99/month and allows 4 users and unlimited marketing campaigns. The version for agencies costs $249. 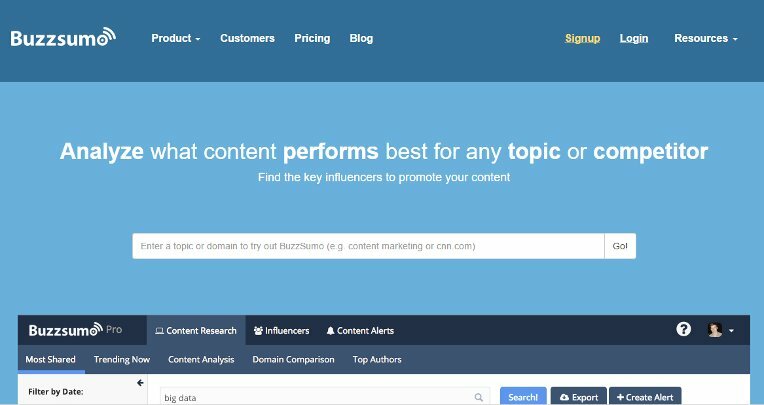 This super tool allows the users to find the most shared content and main influencers to ensure that companies spend their content-marketing budget wisely. In the light of increasing marketing budgets all around the world, this tool has been already used by a countless number of organizations. The good news is, it is completely free and works instantly to provide the results for you. For example, the user can type the keywords and see how many times the content with them was shared on Facebook, LinkedIn, Twitter, Pinterest, Google+, and total amount of shares. If an advanced analysis is needed, the developers propose to try the Pro, Agency, and Enterprise versions for $99, $299, and $999 respectively. If your business needs to cultivate a lot of personal relationships with customers, FullContact may be a great tool for you. It allows managing lots of personal customer data and providing it for you, including name, photo, and links to social media profiles. The power to stay connected with your contacts is a great advantage because it enables to find insights, power better experience, and segment the audience. When it was used at Royal Essays, the company has been able to contact customers for urgent inquiries, which worked for better customer service. As always, the developers propose to try a free demo to see what FullContact can do. It is a useful tool for analytics and marketing for social media websites, including Pinterest, Facebook, Tumblr, and Instagram. The platform does the job by monitoring visual content across the media to find new fans, raise the awareness about the brand, and gain some great revenues as the result. Among the features of Curalate are competitive analysis, finding brand influencers, collecting fan imagery, and linking images to particular product pages. Similarly with Oktopost, the cost of using the tool is determined by organizational structure and number of social media platforms but the demo version could be requested for free. Mention is a tool that allows tracking the opinions of people about your company and the competitors. Specifically, it tracks key phrases and company’s title in real time to keep the user updates about the online conversations mentioning the needed words. It is also able to monitor billions of sources in over 40 languages, and the trial is free. For just $99 a month, this tool can provide a professional evaluation and monitoring of rankings, content, social media, and traffic on a single platform. The evaluation could be used for further analysis of errors on the website, a number of missed conversions and many more related purposes. They are delivered by a wide variety of functions, including keyword difficulty tool, research, page analysis, link building opportunities and so on. Clearly, Moz is a great tool that can help a marketer and even an entire marketing agency (additional subscription is needed). Want to greet a person who joins your website and watches your business? It is very easy! With Autosend, you can create automatic messages that will be sent to the email specified during the registration on the website. Not only it provides you with the opportunity to reach the customer, but also do it in a very personalized way: the messages and targeted and based on what they did on the website. 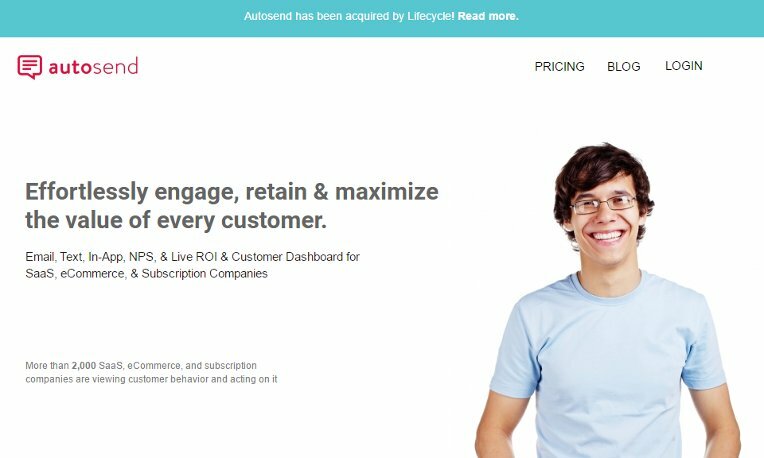 Whether the customer sign up for updates, bought an item or just looked for help on the FAQ section, Autosend is the tool to do it right through the specific system of encouraging messages to return to the website. 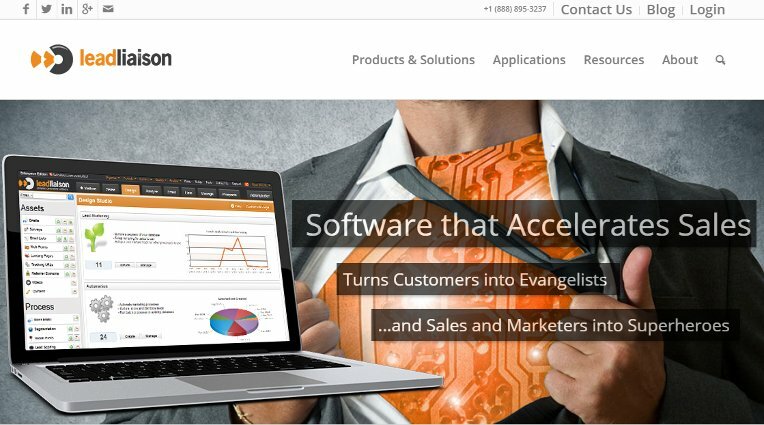 This tool allows increasing sales and generating more revenue by concentrating on the clients and creating personalized experiences through automation. The main features of Lead Liaison include digital profiling, video marketing, measurable leads, deployment marketing assets, and the establishment of the most important business processes. To get most of the tool, the users can create sophisticated lead nurturing campaigns that can bring success to marketing strategies. If you are having a hard time managing the social media presence of your brand, Oktopost is the tool for you. It makes this task easier by automatic sharing of the needed content, managing conversations, and measuring the effectiveness of the marketing campaigns in a single platform. The customers can request a free demo version to see what it can do for your social marketing needs and increase the value of social media to the business. The cost is determined by the company’s organizational structure, so please request a quote to see how much it can cost for you personally. Feeling ready for enhance your online marketing strategy now? With this selection of tools, this goal will certainly become easier to accomplish. Stop spending a lot of time on tasks that can be done much faster and more efficiently, because using these tools can replace a top-pier marketing team and save your marketing budget. Moreover, a little laziness won’t be a problem now and you still will be taking your online marketing to the next level.